A political expert specialized on Mauritian democracy, Dr Catherine Boudet is originated from Reunion island and a resident in Mauritius since 2009. She holds a PhD in Political Science from the Institute of Political Science of Bordeaux (France) and a Masters in Comparative Politics from the Institute of Political Science of Aix-en-Provence (France) with a specialization on Indian Ocean political settings. 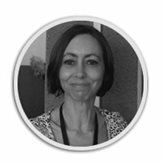 Dr Catherine Boudet has an academic background in African politics, with a focus on Mauritian democracy, in particular the issues of identity politics, dominant minorities, nation-building and consociational democracy. After a decade of teaching experience at the University of La Réunion in English and Political Sociology, she worked in Mauritius as a journalist in various press groups and then as a lecturer in Journalism and Media Ethics. She is currently teaching Political Sociology at the Institute Cardinal Jean Margéot (ICJM) in Mauritius. Dr Catherine Boudet has participated in a number of academic conferences in France, Reunion island, Australia and the UK where she presented the outcomes of her research on the Mauritian socio-political setting. She has published a series of breaking-through scientific articles on consociational democracy in Mauritius. Her latest publication focuses on “Nationalism, Decolonization and Consociation in Mauritius: the rise of a strategic Mauritianism (1945–1967)” (2014) published in the Canadian Journal of African Studies. An observer of the political life in Mauritius for more than 15 years, she is regularly invited by the Mauritian Press and media to provide her analyses on Mauritian politics. Catherine Boudet is fluent in French, English, Spanish and Mauritian Creole.